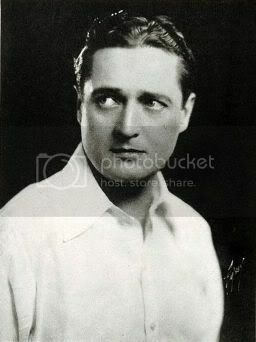 Edmund Lowe was an American actor. Although known for his somewhat flamboyant personality and purple ties (1920's code for homosexual), he was also married three times - and for fairly decent lengths of time. Historian William J. Mann noted that Lowe's second marriage to Lilyan Tashman (1925-1934), was a "lavender marriage" of convenience - both being at least bi-sexual if not homosexual. Further research will be needed. Edmund Lowe and Lilyan Lowe, nee Tashman, want to pick up art objects in Spain, Italy and France. Lilyan also desires to improve her French as she has had numerous opportunities to play roles where perfection in the language would have improved her work. Lowe Ellen aunt 54 widow Ireland Ireland Ireland 1866 none . Kennie Mary A. aunt 46 single Ireland Ireland Ireland 1866 none . Lowe Edmund S. boarder 20 single California Massachusetts Ireland . none . Tashman Kitty sister-in-law 48 single . New York Poland Germany . None .